Ugadi is not really one of our festivals but since we have been in South India like forever, we have been influenced by the culture to some extent. 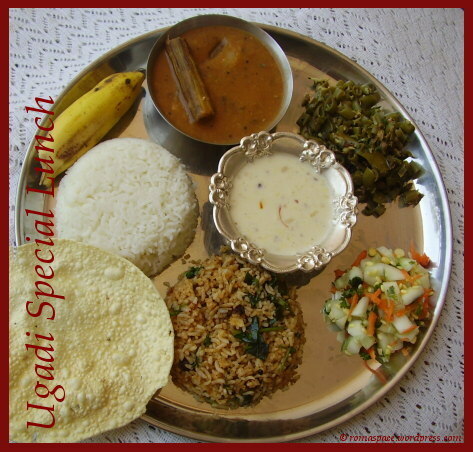 We make a Special Ugadi Lunch every year to enjoy the festive spirit that surrounds us. Typically in Karnataka they prepare Vobattu (jaggery rotis), thondekai sabzi, beans, kosumbari / salad, sambar and payasam today. I am unable to make the entire menu but do manage to make a few items here and there to feel like we have celebrated the day. Happy Ugadi to you all !! Thali looks great! !Happy Ugadi to you!! ur ugadi platter is soooooooo yummmmmmmmy!! !i am drooling here!!! The thali looks delicious. Happy Ugadi to you too! Hope you had a festive time too. Hi roma!! I am so happy to know a blogger located in bangalore! :) Please mail me your address and I will send you a secret ingredient for Arusuvai! 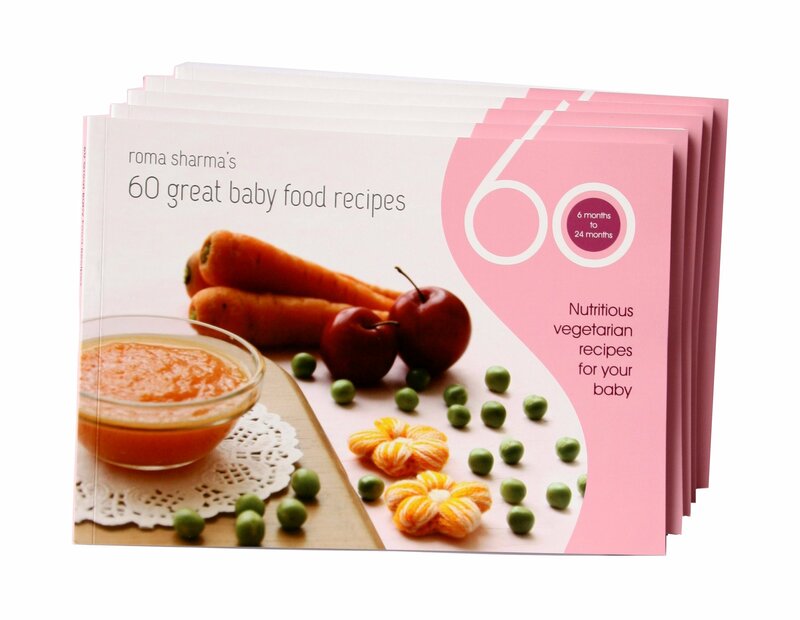 I hope I can try out all of these or at least some of these recipes sometime … but really, this is one fantastic way to keep your recipe-book! I’m surely going to try the “Baked Veggies” sometime soon!! What a feast Roma! Being a telugu person myself, I did not cook as many items as you have.